eBay Inc.’s profitability in e-commerce operations is linked to effective operations management (OM) in the 10 strategic decision areas of the global business. These 10 decisions aim at maximizing productivity and other performance criteria. For example, eBay’s case involves streamlining to maximize the productivity of online trading platforms. The company’s operations managers are also concerned with maintaining high efficiency of all systems to ensure seamless and satisfactory customer experience. High efficiency is a competitive strength in attracting customers (sellers and buyers who use the company’s online trading platforms and services). The 10 strategic areas of operations management are significant considerations in enhancing eBay Inc., especially in operational scaling that comes with business growth. Through effective operations management, the company maintains competitive advantages against Amazon, Etsy, and Walmart (Walmart Marketplace). eBay Inc.’s subsidiaries, such as StubHub and Kijiji, also improve their effectiveness through corresponding corporate changes to enhance operations and overall productivity. eBay’s managerial concerns regarding productivity frequently involve technological programs or solutions for addressing issues in the 10 strategic decision areas of operations management. In this case, many of these issues arise from the information technologies used in eBay Inc.’s business. Nonetheless, other issues may involve business partners. For example, operational issues involving shipping companies may affect customer experience in using eBay’s online marketplace. Thus, the company’s operations managers must also consider external factors that influence the multinational business. 1. Design of Goods and Services. The decision in this area of operations management focuses on strategies for consistency in output, based on the design specifications of eBay Inc.’s products. These products are services, such as the company’s online ticket exchange services available at StubHub and its localized websites. In fulfilling operational objectives for this area, the company ensures compatibility and consistency among all technologies implemented into systems and databases. eBay’s generic strategy for competitive advantage and intensive strategies for growth require advanced technologies to achieve cost leadership with high productivity. This condition affects the company’s operations management. For example, operations managers must keep abreast with emerging information technologies to maintain business competitiveness. 2. Quality Management. The strategic objective in this decision area of operations management is to satisfy customers’ expectations regarding product quality. Achieving this operational objective helps fulfill eBay’s corporate vision and mission statements, which aim for leadership in the online trading services market. For example, high quality processes contribute to high productivity and business effectiveness in satisfying consumers and vendors on the company’s trading platforms. eBay Inc.’s operations managers must use research data that accurately represents the global market for online trading services. 3. Process and Capacity Design. This decision area of operations management aims to design and implement necessary processes, and ensure that these processes are effective and efficient. eBay’s operations managers must develop strategies that satisfy such objectives. For example, strategies for new support services are applied for the purpose of improving the capacity of the company’s classifieds website operations. The corporate structure of eBay Inc. influences the fulfillment of such operational objectives. For instance, each of the company’s business-type divisions has a specific set of productivity requirements that influence operations management activity. 4. Location Strategy. eBay’s operations managers are concerned with strategically locating its facilities to fulfill the objective in this decision area. The operations management objective is to optimize distances among the parties involved in the e-commerce business. For example, in deciding on office locations, the corporation must consider proximity to the labor market. Proximity to target customers also influences trade fair advertising and related communications strategies involved in eBay’s marketing mix or 4Ps. Optimization of locations contributes to high productivity and operational efficiency, which are among the determinants of global competitiveness. 5. Layout Design and Strategy. This strategic decision area of operations management, in eBay Inc.’s case, involves the layout of offices and other workspaces. The company does not maintain large warehouses like Amazon. The objective is to streamline the movement of resources, including human resources, throughout workspaces. For example, eBay’s operations managers maintain IT facility layouts that support high productivity while scaling or expanding operations. Streamlined layouts are a factor in the operational efficiency of the company’s international marketplace, classifieds, and ticket exchange business. 6. Job Design and Human Resources. In this decision area, operations managers focus on developing the company’s human resources, which determine operational capacity. For example, eBay Inc.’s strategies continually improve talent to keep the e-commerce business competitive. Job design that suits the business helps minimize productivity barriers. 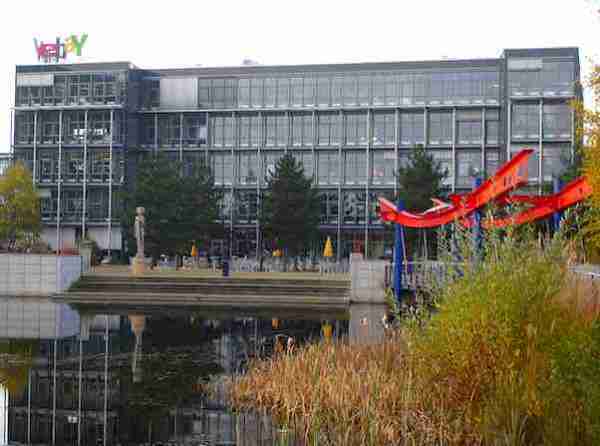 Approaches used in this area of operations management affect eBay’s corporate culture. Results orientation in the organizational culture, combined with suitable operations management in this area, ensures effectiveness that attracts consumers and merchants to the company’s global online trading services. 7. Supply Chain Management. Supply chain effectiveness is the objective in this decision area of operations management. eBay’s supply chain involves firms that supply equipment for the company’s information systems. For example, as part of this supply chain, IT vendors affect the company’s operational effectiveness and strategies for productivity. The Porter’s Five Forces analysis of eBay Inc. shows that suppliers have a moderate impact on the e-commerce industry. The business must manage such impact to minimize barriers in global growth. Operations management approaches for the supply chain must also address the ecological issues and trends shown in the PESTEL/PESTLE analysis of eBay Inc. These trends influence customers’ perception about the company and its products. 8. Inventory Management. In this area, eBay’s operations managers focus on inventory control to support operational requirements. For example, this strategic decision area involves external business conditions as well as resource support in ensuring inventory adequacy. In this operating area, the first in, first out (FIFO) method supports eBay Inc.’s productivity goals. The method facilitates effective upgrades to the company’s information technologies. Also, redundant system components are part of the operations management approaches to minimize disruptions in the corporation’s multinational online retail/auction, classified listings, and ticket exchange services. 9. Scheduling. This area of operations management involves strategic decisions regarding the schedules of employees and other resources. For example, scheduling human resources for specific marketing events is among the concerns of eBay Inc.’s operations management in this area. In addition, scheduling technological upgrades are included in this operational area. The objective is to maintain high productivity despite limited resources. This objective is achievable through schedules that minimize capacity-based bottlenecks and optimize the operational capacity of eBay’s e-commerce business in processing data generated from transactions and other activities among sellers and shoppers. 10. Maintenance. Operations managers focus on maintaining satisfactory processes, resources, and outputs in this strategic decision area. For example, eBay Inc.’s operations management approach must maintain adequate resources, including human resources and equipment. To satisfy this operational objective, the company’s strategies must include appropriate hiring policies and human resource development initiatives. Also, eBay’s global business has regular IT upgrades to maintain the performance of its information systems. Maintaining the quality of e-commerce services is another objective in this area of operations. Such operations management objective is linked to eBay’s service stability and reliability that support customers’ productivity in their e-commerce endeavors.